Air quality programs largely counter the effects of 2015 congestion. The Port of Los Angeles has revealed that it largely continued to meet its emissions reduction targets in 2015. In its latest report, entitled 'Port of Los Angeles Inventory of Air Emissions - 2015', overall, diesel particulate matter (DPM) emissions remain down an unprecedented 85 percent from all sources related to port operations, replicating the port's record set in 2014. Likewise, sulphur oxides (SOx) emissions are down 97 percent, nearing total elimination. Nitrogen oxide (NOx) emissions are down 51 percent, just 1 percent shy of the 52 percent reduction rate in 2014. The detailed inventory's latest findings are based on data collected during calendar year 2015 and reviewed by regional, state and federal air regulatory agencies. The baseline is 2005, the year before the landmark San Pedro Bay Clean Air Action Plan (CAAP) was adopted. The results show the port continues to exceed its 2023 targets for reducing DPM and SOx (77 percent and 93 percent respectively) and is within striking distance of its 2023 target of reducing NOx emissions 59 percent. In addition to criteria pollutants like NOx, SOx and DPM, the Port of Los Angeles also tracks greenhouse gas (GHG) emissions, which contribute to global warming and are associated with climate change. The 2015 emissions inventory shows that GHG emissions were 10 percent below the 2005 baseline, but the 2015 GHG emissions were higher than Port GHG emissions in 2014, when they were 16 percent below the 2005 baseline. The increased 2015 GHG emissions are mostly attributable to congestion issues experienced in the first part of 2015. With congestion now behind it, the port anticipates a return to larger GHG emissions reductions for 2016, as the port continues in its efforts to achieve California's goal of reducing GHGs 80 percent by 2050, based on 1990 levels. "Our clean air strategies were put to the test with the backlog of ships we experienced in the first part of 2015, and we largely held our ground," said Port Executive Director Gene Seroka. "With this temporary situation behind us, we expect to see clean air progress when the numbers come in for 2016." Ongoing vessel emissions reduction programs that helped protect clean air gains include the switch to cleaner vessel fuels, more ships running on electricity at berth, and operators voluntarily slowing ships in the harbour. 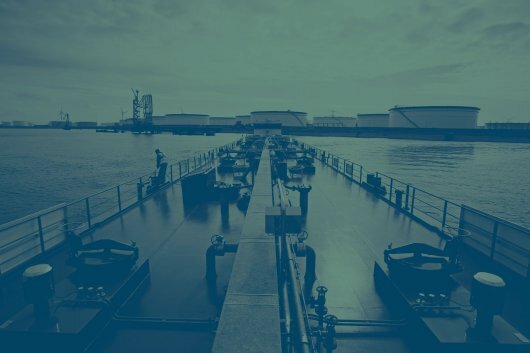 Due to these and other vessel pollution reduction initiatives, ships calling at the port now emit less DPM than locomotives and harbour craft combined. The Port of Los Angeles is North America's leading seaport by container volume and cargo value, facilitating $270 billion in trade during 2015. The port's progress continues to be reflected in the reduced share of emissions its activity contributes to the South Coast Air Basin. The region is home to more than 16.8 million people in urban portions of Los Angeles, San Bernardino and Riverside counties and all of Orange County. Only 2 percent of all SOx emissions in the South Coast Air Basin are attributable to port operations compared with 23.2 percent in 2005. DPM emissions from the port account for 4.8 percent of the region's total, about a third of what they measured in 2005. NOx emissions are 4.3 percent, down from 4.6 percent in 2005.